50th Class Reunion registration letters were put in the mail the end of February. If you are still hanging on to yours, remember the due date is May 1, 2014. Take some time to fill out your information and send it in as soon as you can. You hardly notice it happening, but before you know it, the days have slipped by and are gone. 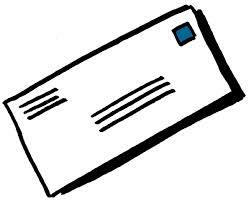 If you didn't receive a letter, or if you have somehow lost yours, send an email requesting another one.